At the law firm of Berkley|Oliver PLLC in Shelbyville, Kentucky, we devote our efforts to helping our clients protect their rights, interests and freedom in the face of some of life's most challenging legal situations. Led by the legal team of attorneys Josh Berkley and Amy Oliver, our law firm has become the trusted source for quality legal representation for those throughout our community. For more than five years now, we have helped numerous clients establish and preserve their final wishes, navigate the complex and emotional divorce process, and fight the criminal charges they face. At every turn, we deliver the personalized attention our clients deserve in order to help them achieve the positive results they seek. Active in our local community and trained in legal advocacy, we are fully dedicated to our practice and ensuring that we offer the best, most-effective legal representation to those in need. 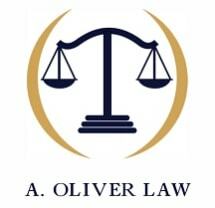 To find out more, you can contact our law office or visit our website to schedule a free initial consultation.